The Joy of X by Steven Strogatz, which is a book about understanding maths which I got for my birthday from my partner, who is, among other things, a mathematician. I have an ARC of the new Tim Winton novel that comes out in October, so definitely that. Although, you may need to define always because I doubt I knew these books existed as a small child. Current Cleo, last month's Cosmo, Last month's Frankie, some Vogues from early last year and a copy of The Canary Press that they sent to my work to see if we would like to stock it. I don't want to name names, but I do definitely have a book in mind. It's far too obvious for me to say Twilight, so I will have to go with Eat Pray Love. Also, between you and me, I enjoyed reading Twilight when I was in the moment, it was only after that my inner feminist kicked me in the head and asked what I had been thinking. I work in a bookshop, and I am my own biggest customer. Not really, I just read a lot. Like, a lot a lot. Last week I stayed up til midnight reading Lexicon by Max Barry. I would have stayed up all night, but I finished it. Absolutely. 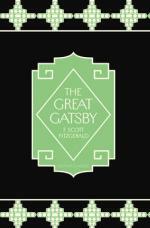 See above about Gatsby. Thomas the Tank Engine and The Foot Book. Jasper Jones. I spent a year of my life studying that book, and it taught me that above all else, I love to write and read. And that I love WA. That's really tough! Speechless by Hannah Harrington is probably a good example of an excellent YA novel that documents an authentic experience in a meaningful way, so that. Ooh ooh, and The Little Book by Selden Edwards. What books are you an 'evangelist' for? Oh, gosh. Local stuff, mostly. I usually steer my customers towards local writing, like Jasper Jones, Whisky Charlie Foxtrot, What is Left over After, Deborah Burrows, Tim Winton etc etc. Letters to the End of Love by Yvette Walker. I am growing to love Toni Jordan more and more but I have yet to read Nine Days. Charlotte Wood is my latest favourite find. I read Animal People an adopted a copy of The Children at the second hand book store. I love Ian McEwan but I dread reading Solar. Jonathan Safran Foer's Extremely Loud and Incredibly Close had me so frightened and upset that I had to go and hug my father, just to make sure he was still there. Everything I Know About Writing by John Marsden is a must have for writers. Oh, that quote from jane Eyre just makes me swoon - I am waaay overdue for a re-read on that. How can you NOT have read The Handmaid's Tale?! You must remedy that at once! Don't get me wrong, it's not high art; but it certainly has it's place!